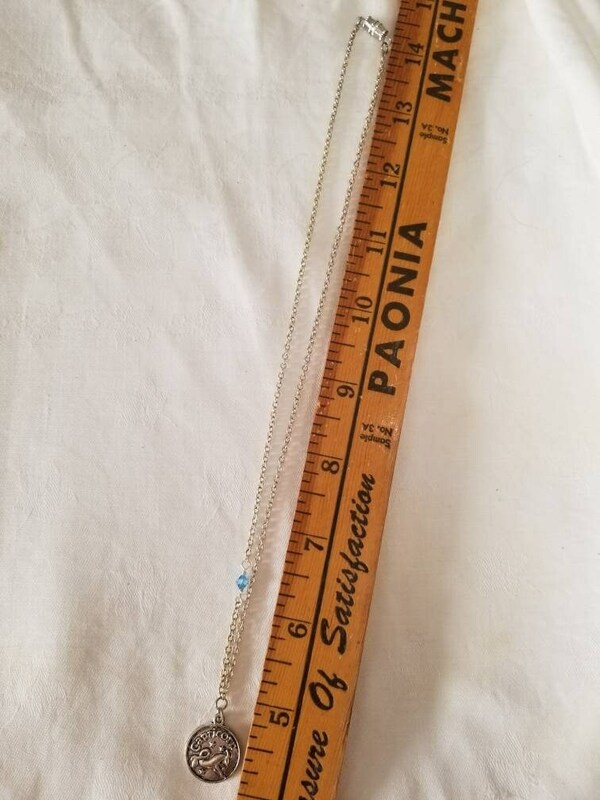 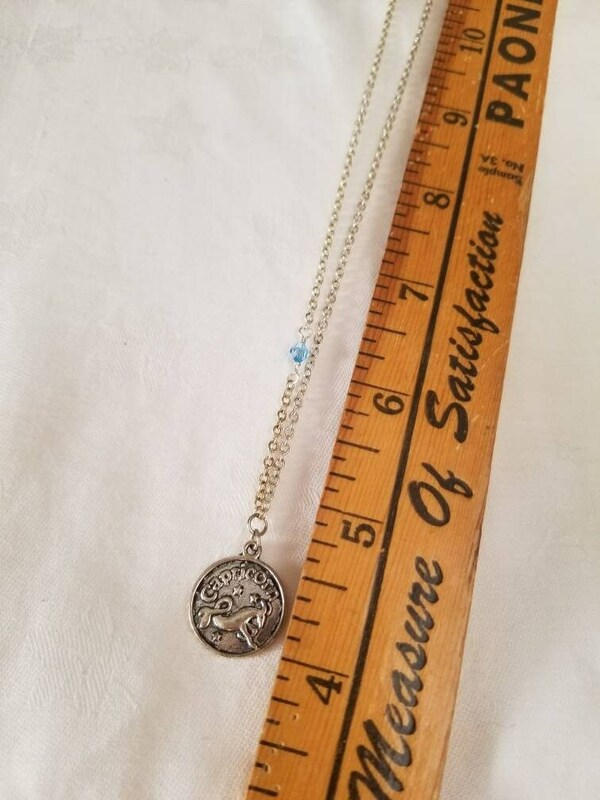 This lovely silver Zodiac charm necklace sports the Capricorn celestial sign paired with a blue sparkly faceted bead, which is the unique color of the Capricorn sign. 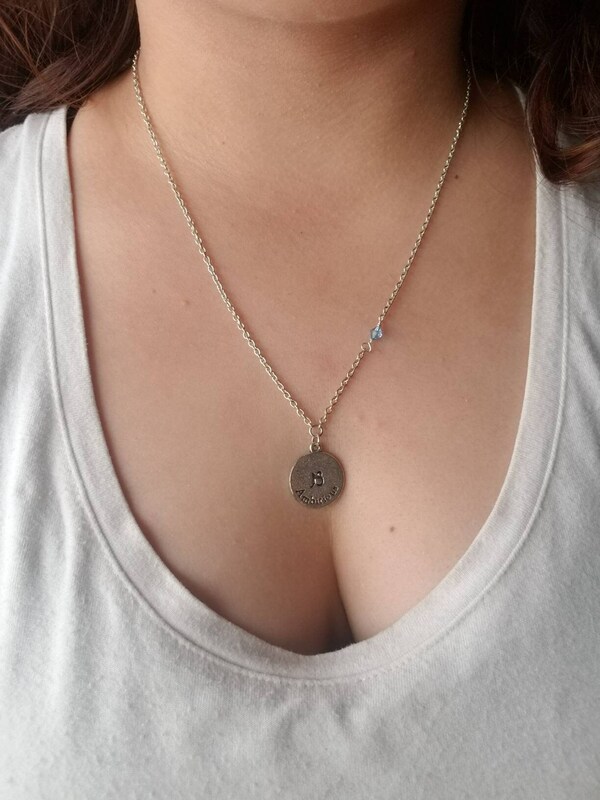 The pendant is double sided, one side is embossed with the word Capricorn and the Zodiac sign. 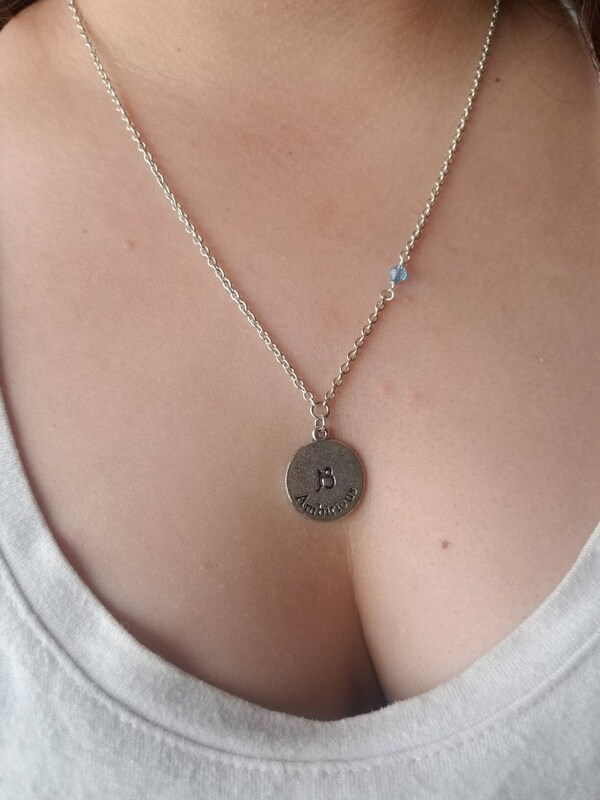 The other side is engraved with the astrological sign. 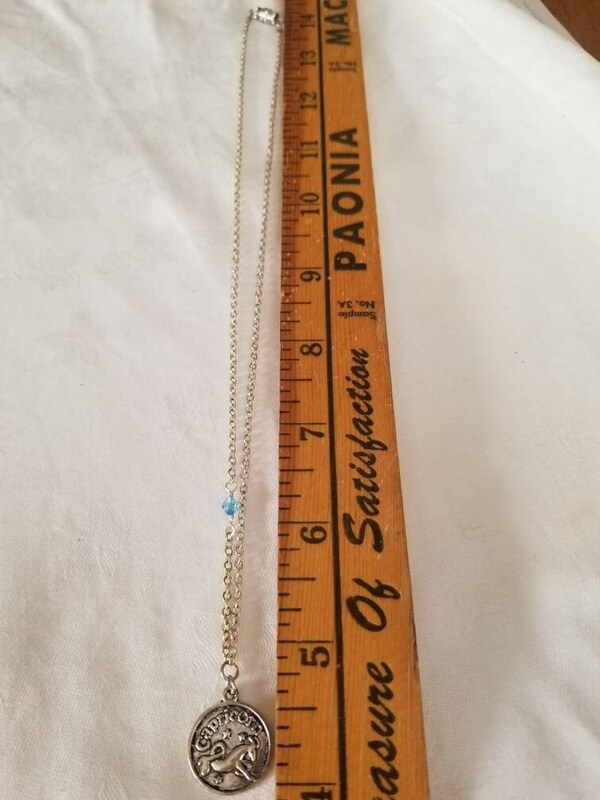 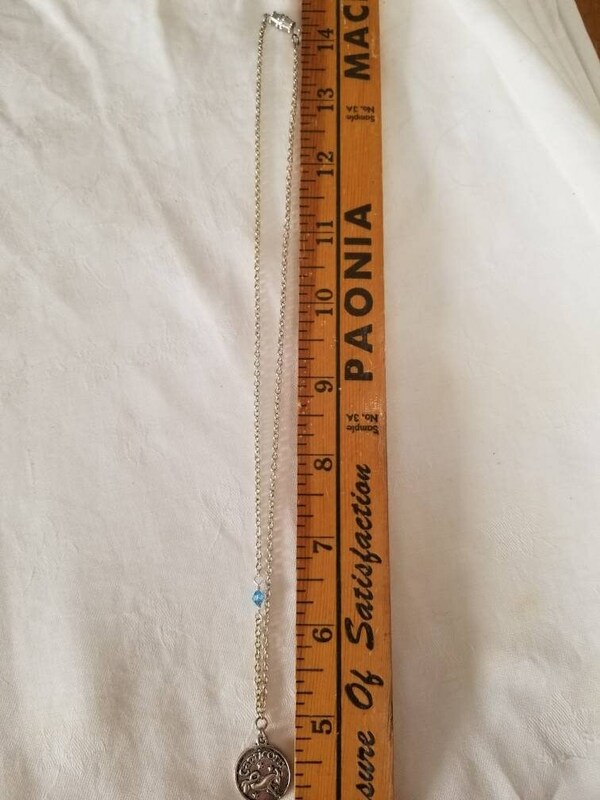 Giving you two necklaces in one. 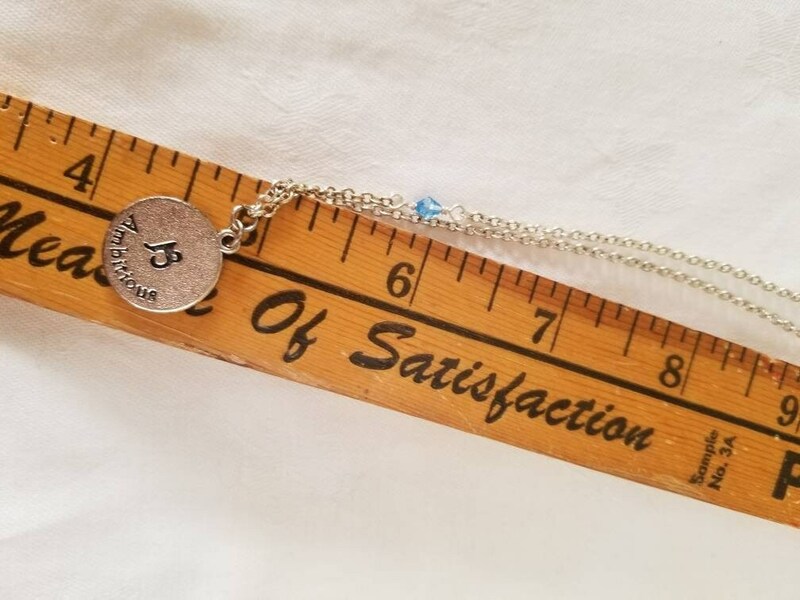 Loving the Zodiac signs and funny little quotes behind them, these necklaces are made to make each Capricorn feel special while they embrace their quirks and love themselves.